We have recently shown that chronic treatment with cannabidiol (CBD) was able to recover memory deficits induced by brain iron loading in a dose-dependent manner in rats. Brain iron accumulation is implicated in the pathogenesis of neurodegenerative diseases, including Parkinson’s and Alzheimer’s, and has been related to cognitive deficits in animals and human subjects. Deficits in synaptic energy supply have been linked to neurodegenerative diseases, evidencing the key role played by mitochondria in maintaining viable neural cells and functional circuits. It has also been shown that brains of patients suffering from neurodegenerative diseases have increased expression of apoptosisrelated proteins and specific DNA fragmentation. Here, we have analyzed the expression level of brain proteins involved with mitochondrial fusion and fission mechanisms (DNM1L and OPA1), the main integral transmembrane protein of synaptic vesicles (synaptophysin), and caspase 3, an apoptosis-related protein, to gain a better understanding of the potential of CBD in restoring the damage caused by iron loading in rats. We found that CBD rescued iron-induced effects, bringing hippocampal DNM1L, caspase 3, and synaptophysin levels back to values comparable to the control group. 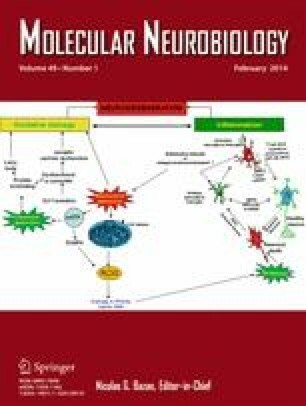 Our results suggest that iron affects mitochondrial dynamics, possibly trigging synaptic loss and apoptotic cell death and indicate that CBD should be considered as a potential molecule with memory-rescuing and neuroprotective properties to be used in the treatment of cognitive deficits observed in neurodegenerative disorders. V.K.S. is supported by a CAPES/MEC fellowship. L.F. is supported by a FAPERGS scholarship. M.R.B, J.E.H., A.W.Z., J.A.C., and N.S. are CNPq Research fellows. This research was supported by the National Institute for Translational Medicine (INCT-TM). This manuscript was reviewed by a professional science editor and by a native English-speaking copy editor to improve readability.